Did Alia Bhatt just get a new home? Looks like busy star Alia Bhatt sliced out time from her packed work roster to go house hunting in search of new property. As per a DNA report, the 25-year-old actress acquired a 2,300 square foot apartment in a sought-after building in Juhu for as much as Rs 13.11 crore. The report adds that Alia paid almost double the amount of the standard price (which amounts to somewhat Rs 7 crore). As a result, the Gully Boy actress ended up paying a considerably huge amount as stamp duty for the registration, which happened on January 9, reports DNA. Alia's new flat is on the first floor of the building, reports DNA, which also adds that she purchased two more properties in the same building in 2015 from Anupam Kher for Rs 5.16 and Rs 3.83 crore, respectively. Alia Bhatt currently shares a fancy apartment with her sister Shaheen Bhatt in Juhu. 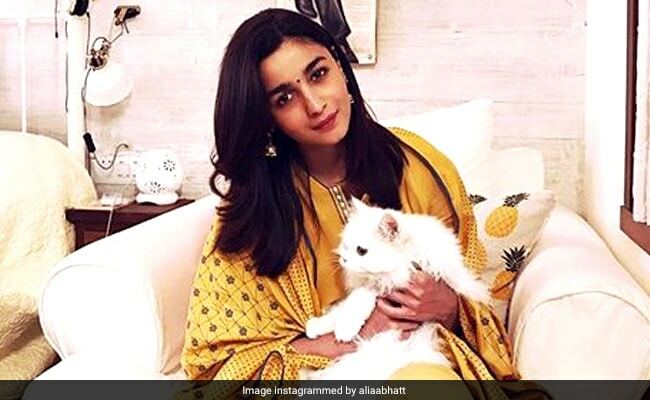 The Bhatt sisters shifted to the apartment in 2016, several glimpses of which are there on Alia's Instagram. Redone with quirky colours and curated art pieces, Alia and Shaheen's Juhu home is styled with big windows and cosy furniture. In the recent past, Alia Bhatt has starred in successful films such as Udta Punjab, Badrinath Ki Dulhania and Raazi. The Meghna Gulzar-directed film scored over Rs 120 crore at the box office. Meanwhile, Alia Bhatt just wrapped the shooting of Abhishek Varman's Kalank but continues to work on Ayan Mukerji's Brahmastra. She is also currently busy with the promotional duties of Gully Boy, in which she co-stars with Ranveer Singh. Alia has also signed up for Karan Johar's Takht. Gully Boy hits screens on February 14.